"Lesson 9 - XGS Pico PCB." 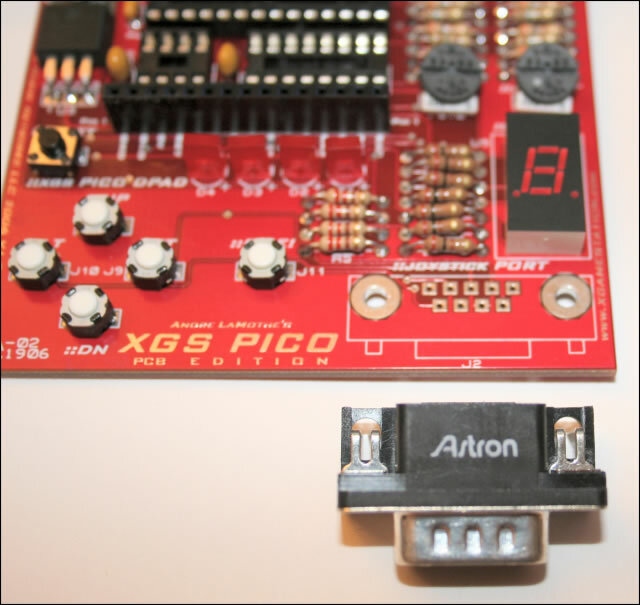 "Lesson 8 - XGS Pico PCB." Design Your Own Video Game Console - Table of Contents (.pdf). 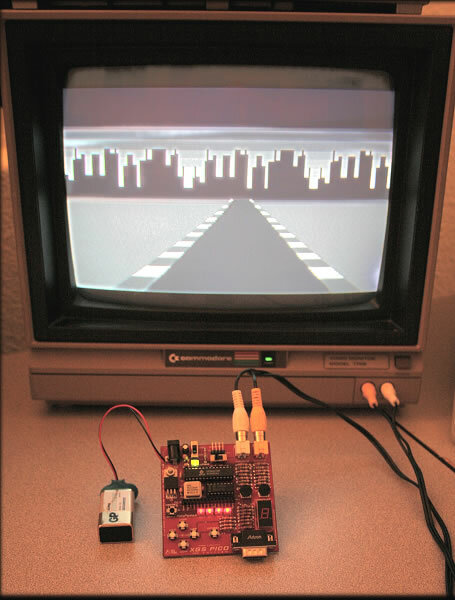 Design Your Own Video Game Console Excerpt - Chapter 1 (.zip). 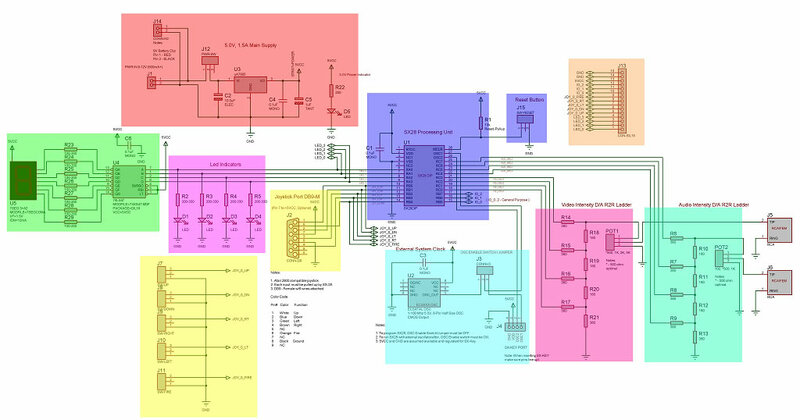 Design Your Own Video Game Console Excerpt - Chapter 11 (with coverage of Pico Edition Assembly / Operation / Programming) (.zip). 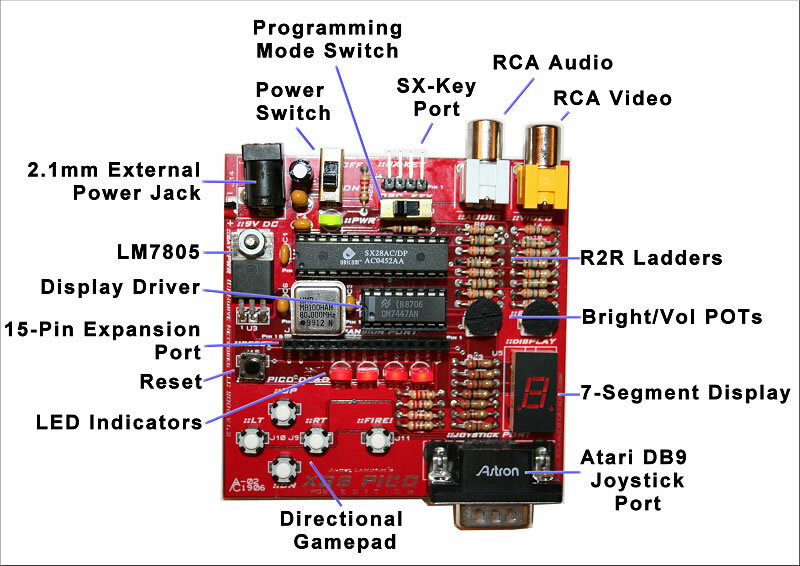 Design Your Own Video Game Console Excerpt - Chapter 12 (.zip). Ubicom™ SX20 Datasheet (Programmer Unit) (.pdf). Ubicom™ SX Family User's Manual (.pdf). The XGameStation™ Pico Edition PCB Add-On is a supplementary kit for those that already purchased an XGS™ Pico Edition Kit 1.0 and/or those that want already have the parts that come with the XGS Pico Edition Kit 1.0 (parts needed to complete Add-On kit) and simply want to put their XGameStation Pico Editons on a printed circuit board. 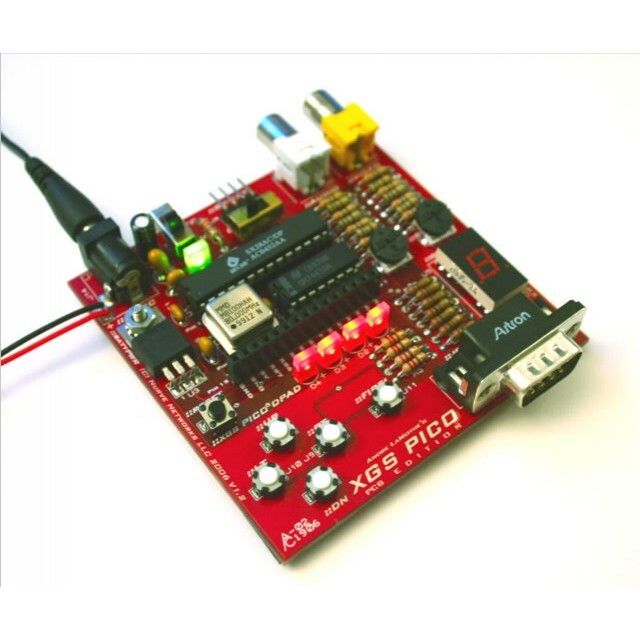 If you do not have the XGameStation Pico Edition 1.0 then you might want to purchase the XGS Pico Edition 2.0 which comes with both the 1.0 kit as well as the Add-On PCB. 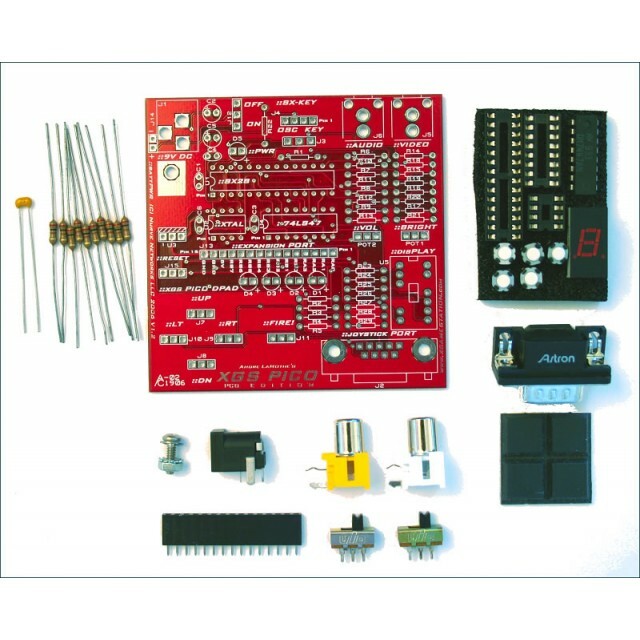 The XGS Pico Edition PCB Add-On comes with all the parts you need to build the PCB version of the Pico Edition assuming you already have the parts from the XGameStation Pico Edition 1.0. 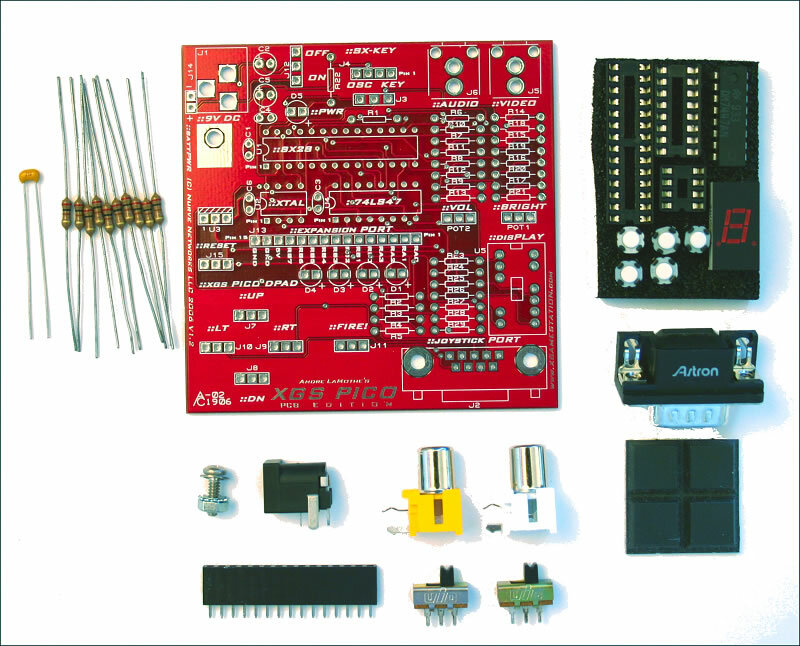 To build the PCB kit you will need a soldering iron, solder, and some wire cutters. 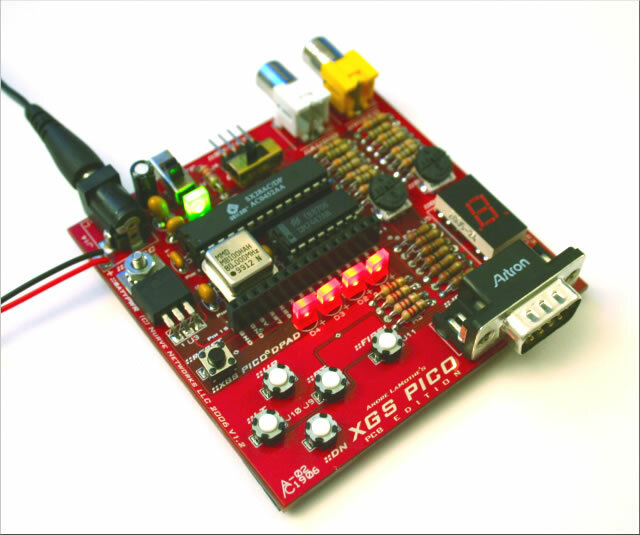 (1) XGS Pico PCB Version 1.2 of the XGS Pico Edition with enhanced abilities, such as 7-segment display, expansion port, and built in gamepad. (3) Chip sockets; 8-pin, 16-pin, 28-pin. 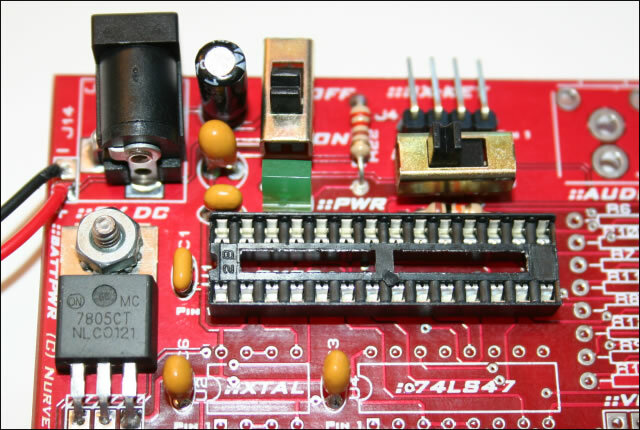 (1) 74LS47 7-segment display driver. (1) 7-Segment LT312 LED display. (1) DB9 Male PCB mount connector for Atari 2600 compatible joystick (not included). 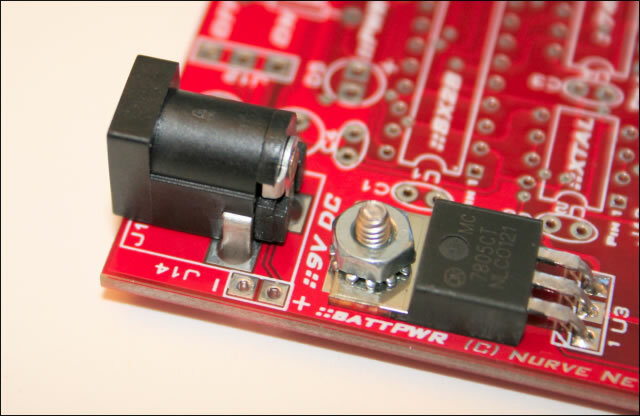 (1) Screw assembly for mounting voltage regulator to PCB. CD-Rom with latest XGS Pico sources including Chapter 1, 2, 3, 11, and 12 Excerpts from André LaMothe's eBook "Design Your Own Video Game Console", covering the assembly, operation, architecture, and programming of the XGS Pico Edition Solderless breadboard version (Chapter 11) as well as Chapter 12 (PCB version assembly). Programming includes basic I/O techniques with LEDs, Audio Programming, Joystick Input, Video Programming both Monochrome and Color, and much, much more! Parallax Inc.'s SX-KEY Software Development IDE (requires SX-KEY hardware for programming, not included) tool chain for Windows PCs supporting Assembly Language programming as well as BASIC. Complete, electronic copy of Andre' LaMothe's best selling "Tricks of the Windows Game Programming Gurus" (a $60 value!). 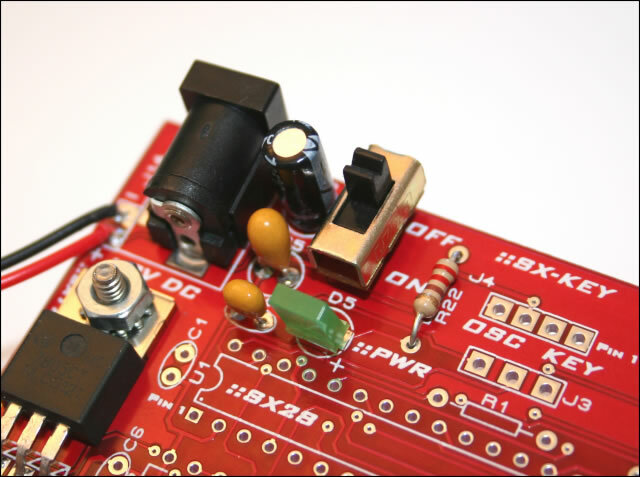 Parallax Inc.'s "Beginning Assembly Language for the SX Microcontroller" eBook. 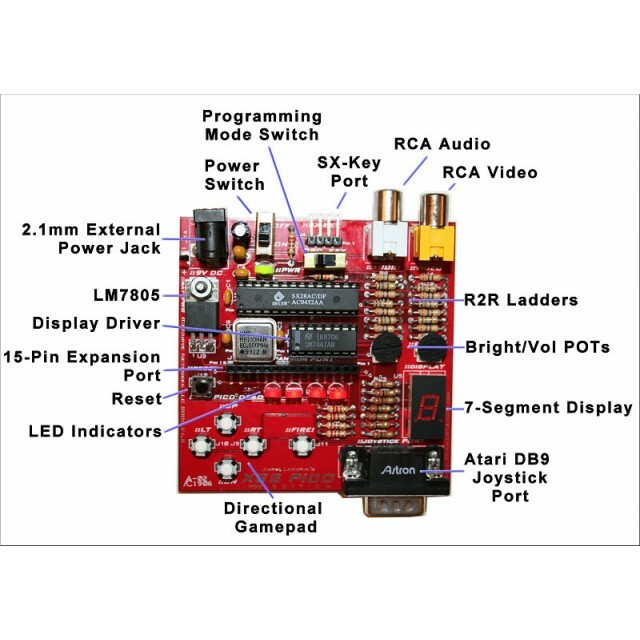 Numerous datasheets, tutorials, and technical information on the SX28 processor and programming techniques.